The Syracuse University Art Galleries will present “Minna Citron: The Uncharted Course from Realism to Abstraction,” a retrospective exhibition that features artwork by the award-winning American painter and printmaker. Organized by Jennifer L. Streb, curator at the Juniata College Museum of Art, with assistance from Christiane Citron, the exhibition presents over 50 paintings, prints, drawings and mixed media constructions. A fully illustrated catalog will accompany the exhibition, and features in-depth essays on the artist and her work. The catalog will be for sale in the Gallery Shop. This presentation continues the yearlong celebration of women and the arts at the Syracuse University Art Galleries. Complementary exhibitions “Pushing the Line: American Women Printmakers from the Syracuse University Art Collection,” curated by Lucinda Edinberg, art educator at Mitchell Gallery at St. John’s College, and “The Shadow of Industry: The Prints of Carol Wax,” curated by SUArt Galleries Assistant Director Andrew J. Saluti, will also be on display. Smaller in-depth examinations of women drawn from the permanent collection will be installed in the study galleries, including three shows that focus on female sculptors, master photographer Barbara Morgan and important printmaking workshops that each were founded by women in the 1950s and 1960s. The exhibitions will run Feb. 5-March 15, in the Shaffer Art Building. Gallery hours are Tuesday-Sunday, 11 a.m.-4:30 p.m.; and Thursdays 11 a.m.-8 p.m. The SUArt Galleries will host a free opening night reception from 5-7 p.m. on Thursday, Feb. 12. Christiane Citron, art executor for the estate of Minna Citron and granddaughter of the artist, will be in attendance. Patrons are welcome to view the exhibition until the gallery closes at 8 p.m. The reception is open to the public. American painter and printmaker Minna Citron’s (1896–1991) New York-based career was long and distinguished, with numerous exhibitions worldwide, and her works are represented in the permanent collections of major museums in the United States and abroad. 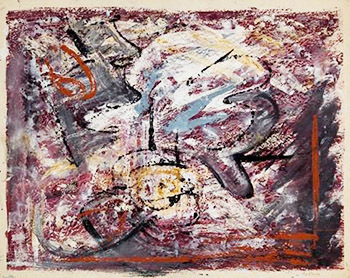 Citron was an artist at the forefront of major artistic movements of the 20th century, as well as directly connected to the central figures of those movements, and she was a well-known figure in the New York art world. Designed to shed light upon a historically important 20th century American artist who is recently being rediscovered, the exhibition showcases over 50 paintings, prints, drawings and mixed media constructions created during the course of the artist’s more than 60-year career. This exhibition is organized by Juniata College with assistance from Christiane Citron. Select programming associated with the exhibition includes a Lunchtime Lecture with Christiana Citron on Thursday, Feb. 12, at 12:15 p.m. An additional Lunchtime Lecture with the curator, Streb, will occur on Wednesday, Feb. 25, at 12:15 p.m. The galleries will also host a SUArt Kids event on Saturday, Feb. 28, and Sunday, March 1, at 2 p.m., where families will participate in a printmaking workshop. The exhibition and programs are free and open to the public. Complete information and related programming is available by visiting the website at http://suart.syr.edu/.